Despite many years of the record buying public just buying and playing records with scant regard for their well being the rarity of vinyl and reliance on second hand purchasing and the ever increasing price of quality cartridges led to the introduction of ways of cleaning those black discs. In the upper end of the market there are all the automatic machines complete with vacuum systems but for those on a lower budget excellent results can be had with manual machines such as the Knosti Disco Antistat. I own such a contraption and I was running out of cleaning fluid so when our good editor mentioned this product I put up my hand and said Yes. Winyl is a brand specialized in gramophonic record cleaners created in Spain in 2015. We are vinyl collectors, and so we strive in offering quality products at a reasonable price. Each cleaner is designed for a specific use case, so we only create unique products, and we do not produce a single multi-use formula and change its label and name. The Cleaning fluid comes in the form of an alcohol free concentrate which has to be diluted with de-ionized water to make 6 litres in total. De-ionized water is the same stuff that is sold in auto stores for the purposes of topping up batteries so it's easy to find and pretty cheap. The fluid is compatible with manual, automatic and even ultrasonic cleaning systems making it pretty universal should you upgrade your machine or have several different ones. 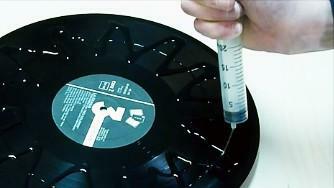 It's also environmentally friendly and is said to leave no residue on the records post clean (always a good thing). The design of the Knosti allows the fluid to be filtered and recovered after use so 6 litres is going to go a long way. 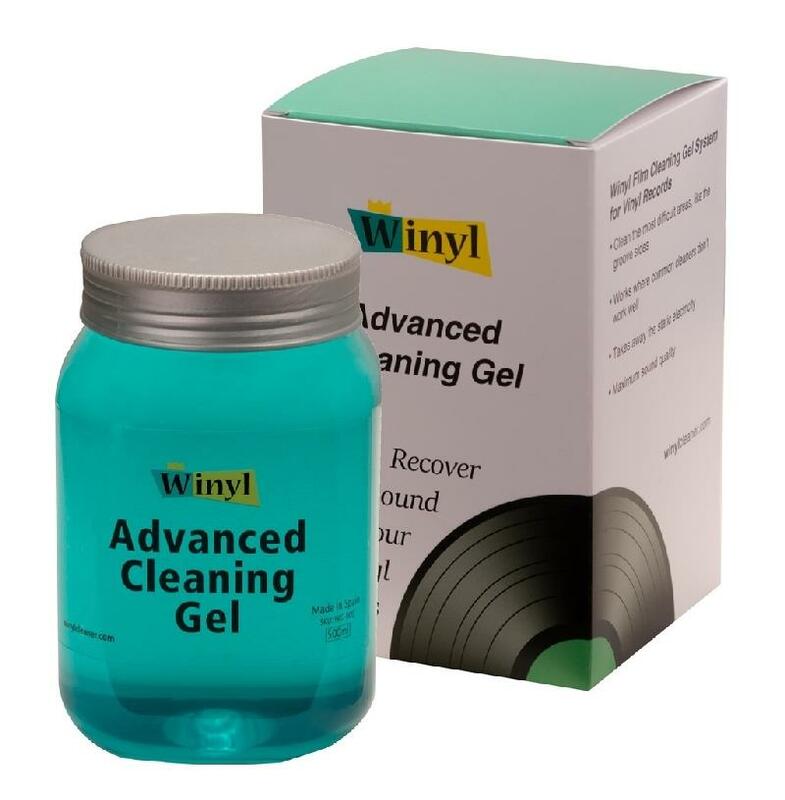 The Advanced cleaning gel comes in what looks like a plastic jam jar and is supplied with a pair of measuring syringes to ensure you use the right amount depending on the size of record you intend to clean. As you can read in the picture below it's designed to remove dirt and debris and leave the records free of static. What it won't do (and to be fair they don't claim it will) is to remove surface noise due to pressing faults. The Record Cleaner Gel is more time consuming as it requires the gel to be applied onto one side of the record in a flower like pattern (see picture) with the supplied syringe and then leveled as best as possible. This can be achieved with the Mk1 human index finger but I'd recommend one of those icing spreaders from your local cooking emporium for better and more consistent spreading. I'd politely suggest not pinching the one your better half has in the kitchen for icing birthday cakes. The record then needs to be left for 5-6 hours until the fluid becomes solid and then peeled off taking the crap with it. You can then do the second side. The more scientific and critical among you could at this juncture point out that it could be down to two different records - and that I've been misled as to the effectiveness of the fluid. To which I would reply that you're totally right and that's why we have control record number 2. Now I'll freely admit my N°1 copy of Love over Gold was cleaned when I bought it second hand about 10 years ago but hasn't been cleaned since so could be considered "dirty". I therefore decided to clean my N°2 copy and see if the Winyl fluid can improve on things. Again the results were of the same order - better tone all round and a track that's just more musical. No cleaner is going to improve Mark Knopfler's singing voice on Telegraph Road but you'll better hear what he's singing. Similarly the bass will clean up and you'll hear it's character an pitch better. By writing the above I'm not saying that the Winyl fluid is necessarily better than the original Knosti stuff. It might well be but frankly a comparison is going to be pretty difficult to engineer without buying a whole load of duplicate copies of the same record. What I will say is that it works and it works well. Frankly if you are even a semi serious vinyl buyer there's no excuse to no have some form of wet cleaning system. 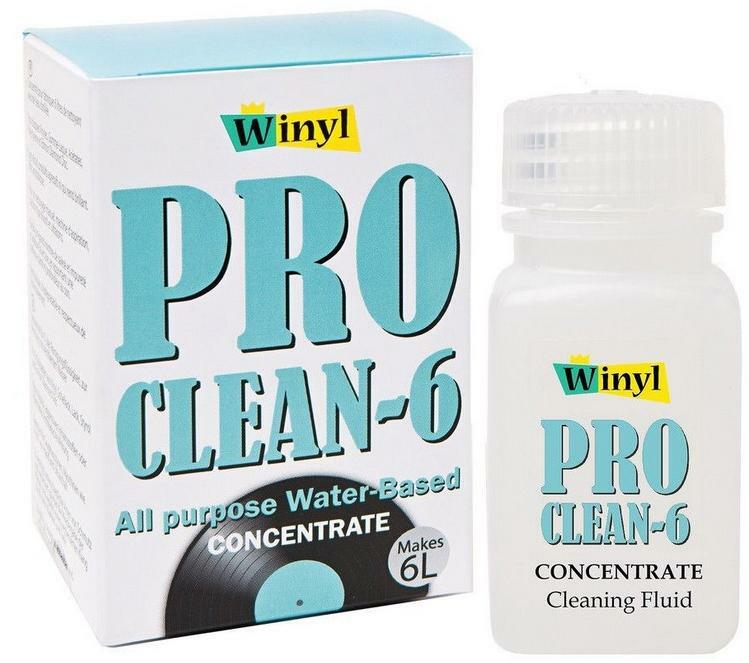 The combination of the Knosti and the Winyl fluid provided a thoroughly convincing result and comes highly recommended. The Gel is something I'd reserve for cherished pressings or really dirty second hand acquisitions. It is marginally better than the fluid but at the expense of some time constraints. Both are worth the money for record buyers and audiophiles alike and (for any partners or siblings that may be reading this) make ideal and worthwhile gifts for the record collector in your life. Now I wonder if the stylus cleaner they make is any good?